Refine Your Test Taking Skills. Are you Serious about Passing your ARE Exams and Becoming an Architect? 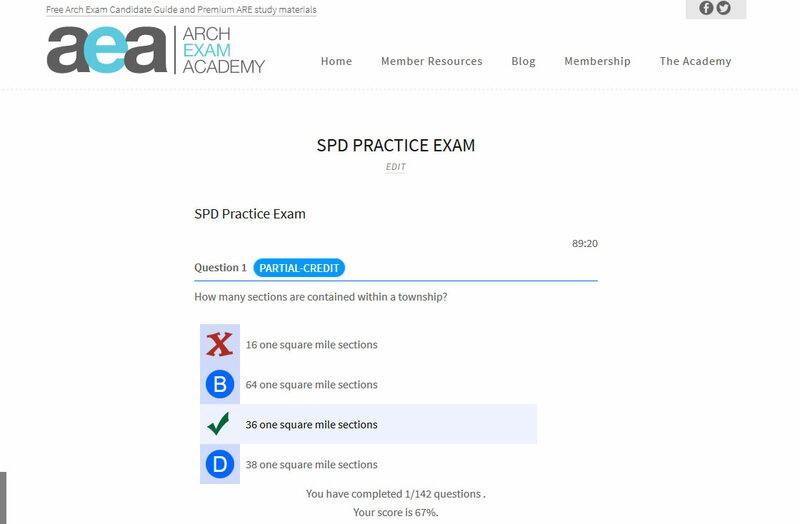 You are in the right place because, Arch Exam Academy Members have full access to fully interactive Exam Simulators so you can practice multiple choice. Designed specifically to help you practice after all of your hours of studying and help you pass your exams. We have practice exams for all 6 sections of the ARE, members have exclusive access to these exams. A screenshot below shows you what the multiple choice looks like, while taking an AEA Practice Exam, you can tell in real time, whether or not you answered correctly. Arch Exam Academy doesn’t just provide you with concise and clear study materials, encompassing all materials available on the web in a clean and accessible medium, but we have 6 exam simulators to make sure you are well practiced and ready for your exam.